Whu? 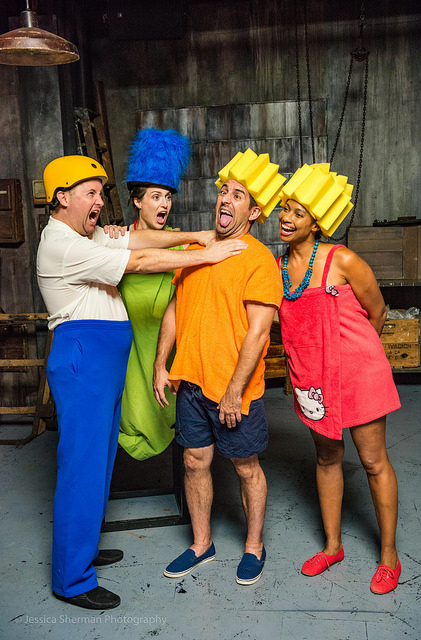 Yea, I didn't see a play using Simpsons' characters popping up in the 21st Season of the Sacred Fool's Theater. Read the strange synopis below. It sounds and looks...weird. "After the collapse of civilization, a group of survivors keep the spark of human spirit alive by telling stories around a campfire. As the years wear on, these stories expand into the realm of legend and myth. 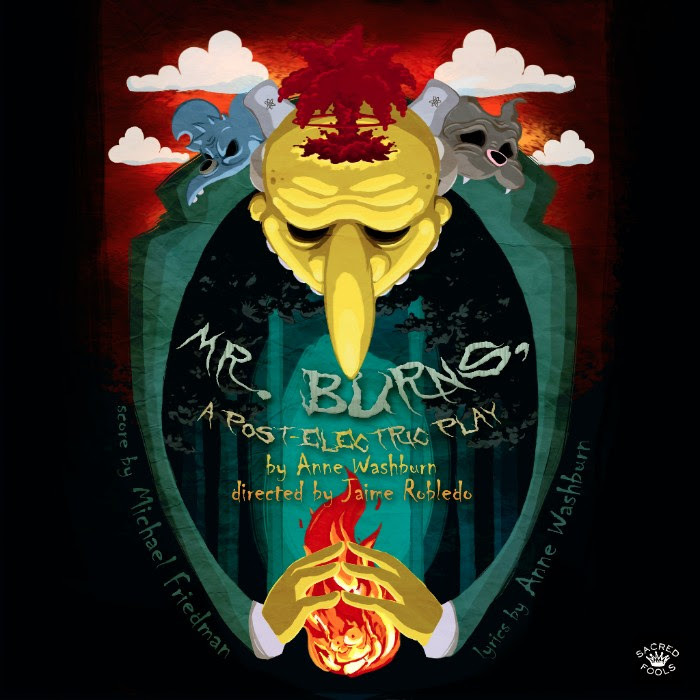 At turns sidesplitting and bone-chilling, Mr. Burns also features an unusual approach for the Fools: each act will be staged in a different theater space in the Broadwater complex, transporting the audience as we search for the light. Performing in the Broadwater Black Box, Second Stage and Mainstage." Creep LA: LORE Review: What's Happening Here? Halloween Update: So Many More Screenings!